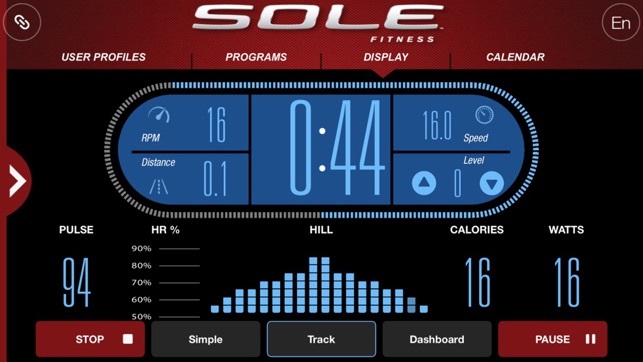 SOLE Fitness App connects to your Treadmill, Bike or Elliptical via Bluetooth. 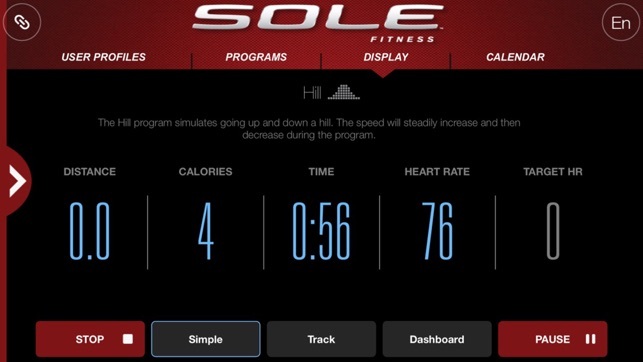 You can view current workout data in three different Display screens on your device. 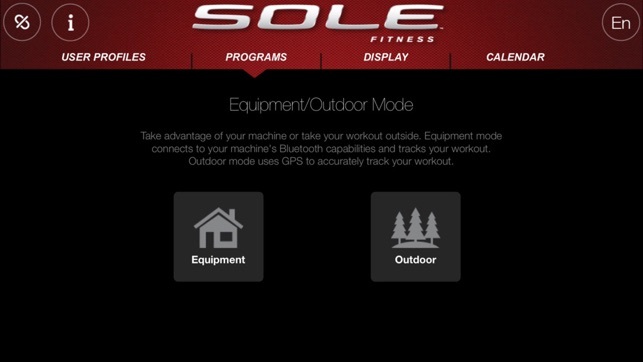 Easily switch back and forth from the workout display view to internet/social media/email sites via icons on the display screen. 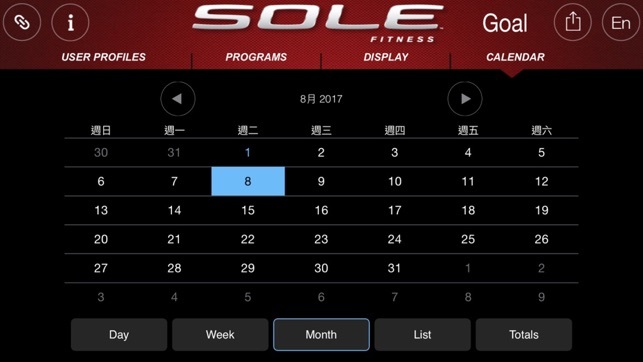 When your workout is finished, the data is automatically uploaded to your personal calendar for future reference. 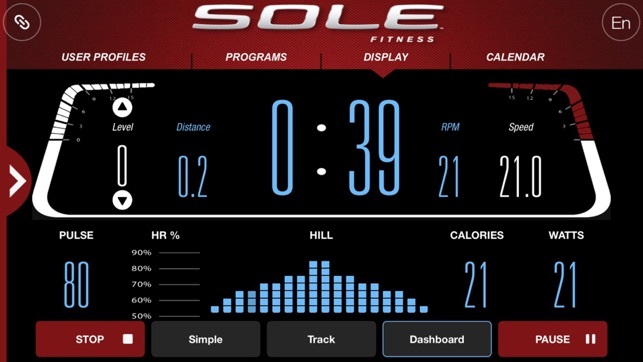 SOLE Fitness App can share workout data to HealthKitApp,Fitbit,Record,MapMyFitness,Facebook and Twitter. When the user log in, click sharing interface on the top right of the calendar. 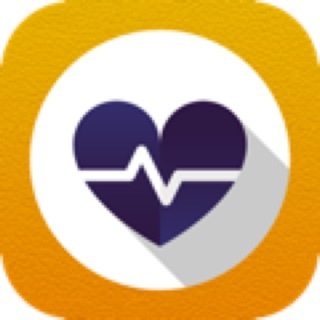 Enable HealthKitApp Function, you will be asked whether your record in HealthApp will sync to your APP. Enable HealthKitApp Function, the system automatically recorded your workout data to HealthKitApp when every training has already completed. This app has never been robust and I had very few successful sessions where my info was saved or recorded to HealthKit. Since the last two versions it just crashes! After connecting, threadmill beeps and as soon as I entered time and sync, it crashes.